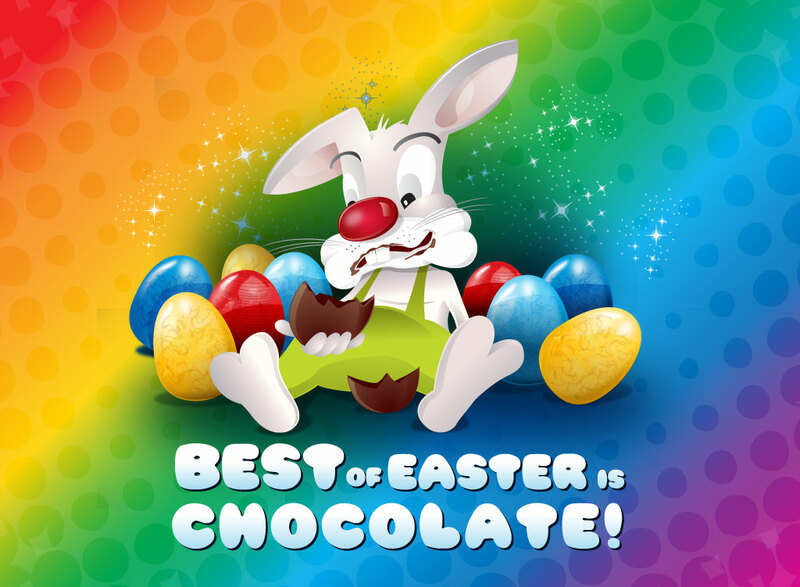 Cartoon vector graphic of the Easter bunny eating chocolate eggs surrounded by beautiful decorated Easter eggs with text below that reads “Best of Easter is chocolate”. Glittery magical stars are sparkling all around the cute spring holiday design. Tags: Candy, Chocolate, Cute, Easter, Eggs, Holiday, Magic, Rabbit, Spring.